Medicare | Pharm House Drug Co.
New Year. New Plans. 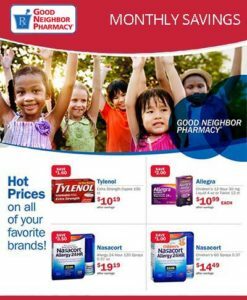 New Rx Savings. Pharm House Drug is preferred in many Medicare Part D plans and may be able to save you money. Even if you are not a Pharm House customer, our Medicare advisor Eleisha will take the time to get to know you, answer questions, and offer helpful advice for choosing the plan best for you. Interested in a personal consultation? Click here. Your local Pharm House Drug accepts Medicare Advantage Plans that cover prescription drugs as well as Medicare Part D prescription drug plans offered by private insurance companies. If you have recently become eligible for Medicare and are just beginning your search for a Medicare Part D prescription drug plan that covers brand name and generic drugs, Pharm House advisor Eleisha is a perfect resource for helping you compare Medicare Part D prescription drug plans. She is knowledgeable about the Part D plans available and can help you choose the one that’s right for you. Enrolling in a Medicare Part D prescription drug plan means that you are adding prescription drug coverage to your original Medicare plan (Medicare Parts A and B) or to your private fee-for-service plans. Enrolling in a Medicare Part D prescription drug plan can save you money if your prescription drug costs rise in the future. You should enroll in a Medicare Part D prescription drug plan unless your current drug coverage is as good as, or better than, the Medicare prescription drug coverage available to you. It’s important that you join a plan when you are first eligible. If you are eligible for Medicare and have Medicaid, you may be automatically enrolled in a prescription drug plan. Check with Texas Medicaid for more information. If you need to purchase healthcare supplies, durable medical equipment or frequent healthcare services, you may be interested in coverage under a Medicare Part B plan. Ask the Pharm House advisor Eleisha if you should consider an optional Medicare Part B plan. She can help you evaluate how much you spend each month on health supplies and preventive services and provide insight on your options for Part B coverage. Medicare.gov: The official U.S. government website for the Medicare program. You have the option to complete a general or personalized plan search using the Medicare Plan Finder. MyMedicare.gov: This is a free, secure online service for accessing your personal Medicare information. Social Security Administration: Another good source for information about the Medicare program and Medicare Part D. The site also has an online application process to determine if you qualify for the “Extra Help” program, which can help you with paying for your Medicare Part D prescription costs, and instructions for how to apply for that help. State Health Insurance Assistance Programs (SHIPs): These state programs can provide assistance with understanding and choosing—and finding help paying for—Medicare coverage, including the Medicare Part D prescription drug program. American Association of Retired Persons (AARP): AARP’s website has a section devoted entirely to the latest news and information about the Medicare program and Medicare Part D prescription drug coverage.